Enterra Insights is not a political blog; so this article is a bit of an outlier from my normal posts. The matter of Kurdish independence is of interest to me, however, because of my previous associations with the region as well as my general interest in global peace and stability operations. Yesterday, Kurds in northern Iraq went to the polls to vote on a referendum to seek independence from Iraq. Voters were asked a simple question, “Do you want the Kurdistan region and Kurdish areas outside the region to become an independent state?” Results of the referendum are non-binding but represent a mandate for the Kurdistan Regional Government (KRG). The federal government of Iraq insists the referendum is illegal. As a rule, I’m against splitting up nations into smaller entities. Such efforts make little economic sense and, often, both the original state and the breakaway nation are worse off as a result. In the case of the Kurds, this may also prove to be the case if they end up being economically and politically isolated. The Kurds, however, are a proud and resilient people. They have proven to be a reliable and effective ally in the fight against terrorism in Iraq and, in particular, the Kurdish Region of Northern Iraq, including Mosul. Since other avenues of progress seem closed to them, they are deserving of a chance to make it on their own. One of the critical events empowering the Kurds — and giving them legitimacy in the eyes of the international community — was Saddam Hussein’s chemical attack against Kurds in Halabja in 1988. In that attack, between 3,200 and 5,000 people were killed with another 7,000 to 10,000 injured. As Alaaldin notes, “The Halabja genocide — and the wider al-Anfal operation — championed their cause as one of the right to self-determination. This helped guarantee international recognition and legitimacy, and enabled a trajectory that has since moved them closer toward sovereignty.” Although the Kurds are ethnically united, they are politically divided. 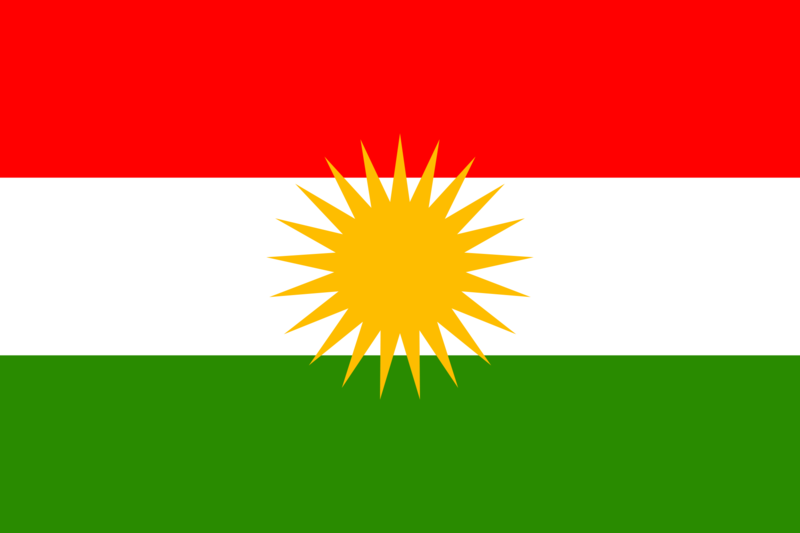 In the self-governing Kurdish region of Iraq, which was established in the aftermath of the first Gulf War, two competing parties contended for power: the Kurdistan Democratic Party (KDP), led by Masoud Barzani (@masoud_barzani), the current President of Iraq’s Kurdish Regional Government, and the Patriotic Union of Kurdistan (PUK), led by its founder, Jalal Talabani. In 1994, when a power-sharing arrangement between the two-parties fell apart, an intense civil war ensued. The war ended in 1998 when the PUK and KDP signed the US-negotiated Washington Agreement. In 2009, complicating the political situation in the Kurdish region, was the emergence of the Gorran (Change) party under the leadership of Nawshirwan Mustafa. Mustafa died earlier this year and Omar Said Ali was selected to replace him. Despite their political differences, all these political leaders are Kurdish nationalists. Chances for a broader Kurdistan (i.e., one involving Kurd minorities in other countries) are slim. This is not only because of opposition in those countries but because of internal Kurdish politics. Even though they project a united ethnic front, Kurds are not united politically and have different aspirations for their various regions. Despite all of the complexities associated with an independent Kurdistan in what is now northern Iraq, I support Kurdish independence. As Jefferson stated later in the Declaration of Independence, whenever rights have been trampled, “It is the Right of the People … to institute new Government, laying its foundation on such principles and organizing its powers in such form, as to them shall seem most likely to effect their Safety and Happiness.” The Kurds’ safety and happiness is far from being assured; but, a government, by, for, and of the Kurdish people has a greater chance of securing those rights than they have had for a century. Stephen DeAngelis, “Pledges to Cooperate Following Elections in the Kurdistan Region of Iraq,” Enterra Insights, 6 August 2009. Ranj Alaaldin, “Don’t underestimate Kurdistan’s resilience,” The Brookings Institution, 22 September 2017. David Zucchino, “Iraqi Kurds Will Vote on Independence, Recalling Tortured Past,” The New York Times, 24 September 2017. Tim Arango, “For Iraq’s Long-Suffering Kurds, Independence Beckons,” The New York Times, 9 September 2017.